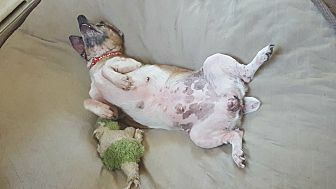 Strudel is a little 10+ year old Jack Russell terrier who would love a home who would never let her be neglected again. She's as sweet as they come and will follow her person everywhere and loves to snuggle under the covers. She has just a few teeth, but eats with no trouble. Her eyes are cloudy but she gets around just fine. Even though she's a senior, she still has a lot of love to give to that special family. 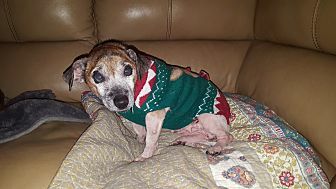 Please call Jody at 708-268-6965 if you would like to meet Strudel. Her adoption fee is only $100.